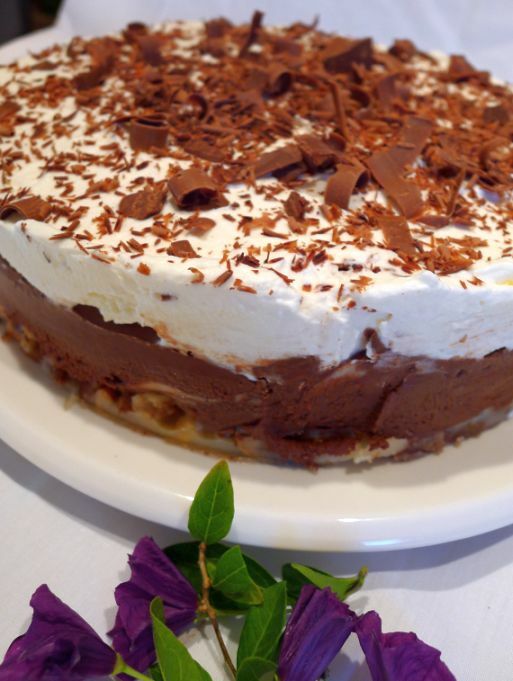 French Silk is a very decadent and rich dessert so serve it in small portion. 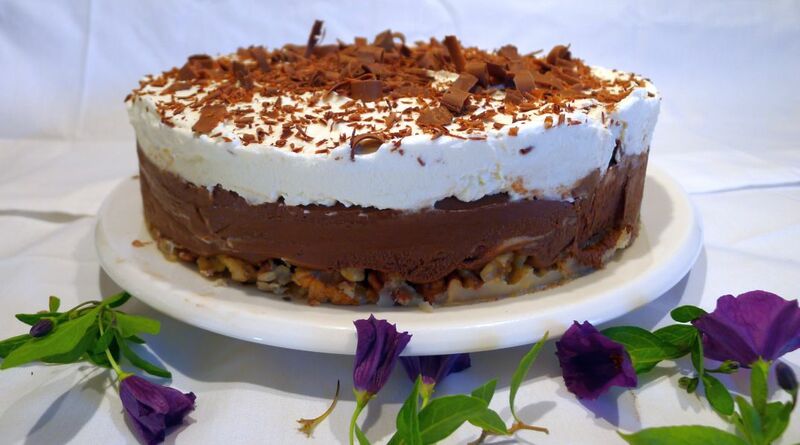 The crust is made with crushed toasted walnuts and pecans, brown sugar and butter than it is filled with a chocolate mousse, ganache, fudge like texture, and then topped with a generous layer of creamy whipped cream. 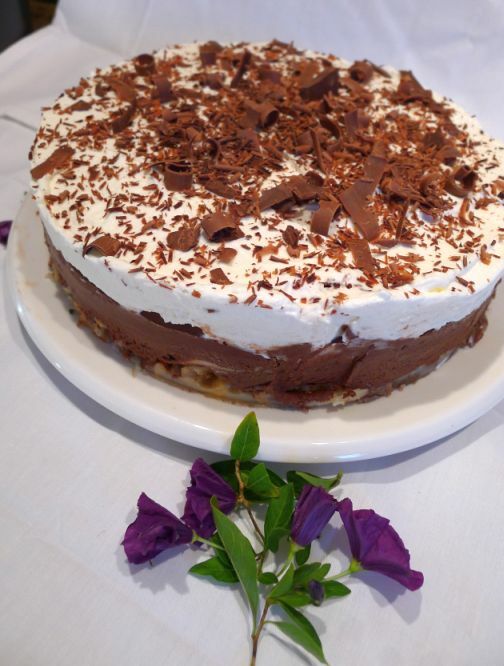 This recipe is fairly easy to make and there are no baking involve (love it). 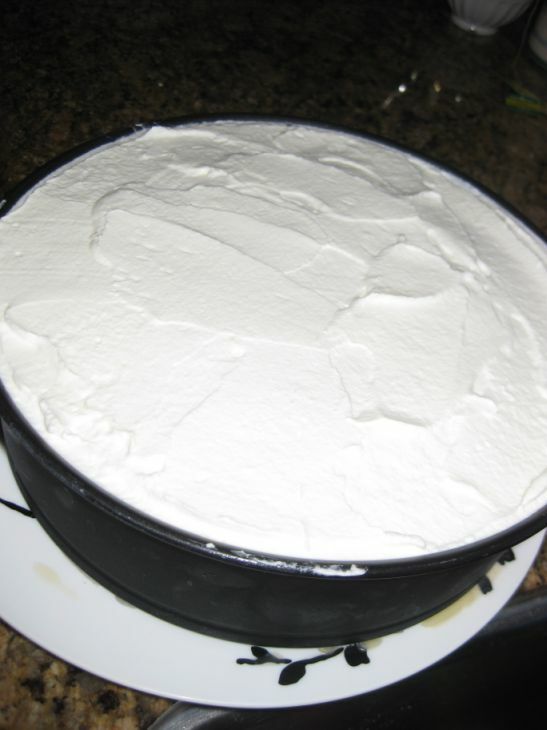 You can prepare the cake 2 days ahead and then on the day of the party just bring it out and serve it! 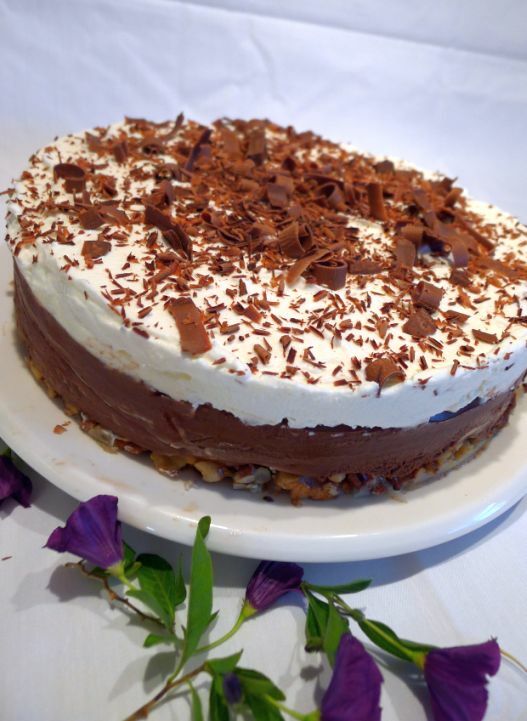 I understand why this cake is called French Silk! 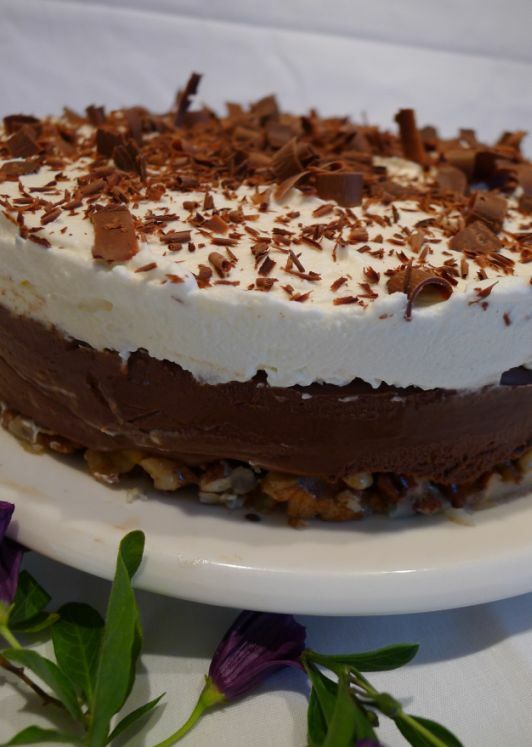 The texture of the cake is so smooth like silk and so decadent! Make sure to have a hot cup of coffee with it! 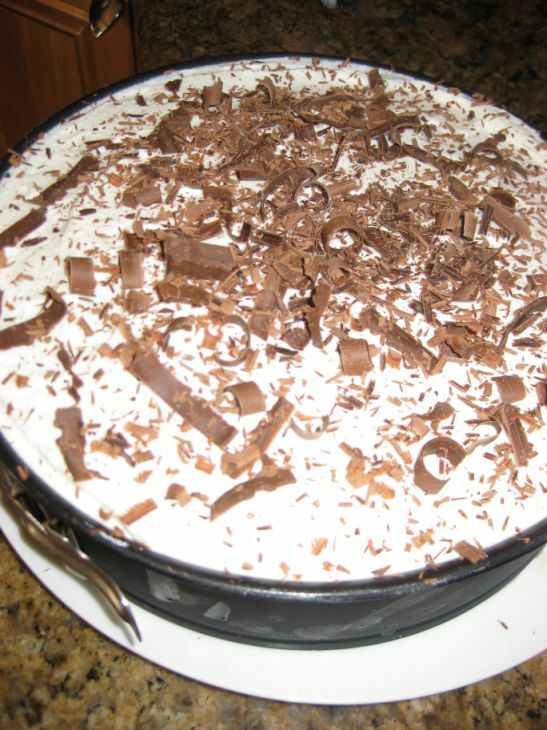 The cake looks really appealing and it is perfect to serve during the holidays because it looks pretty festive. 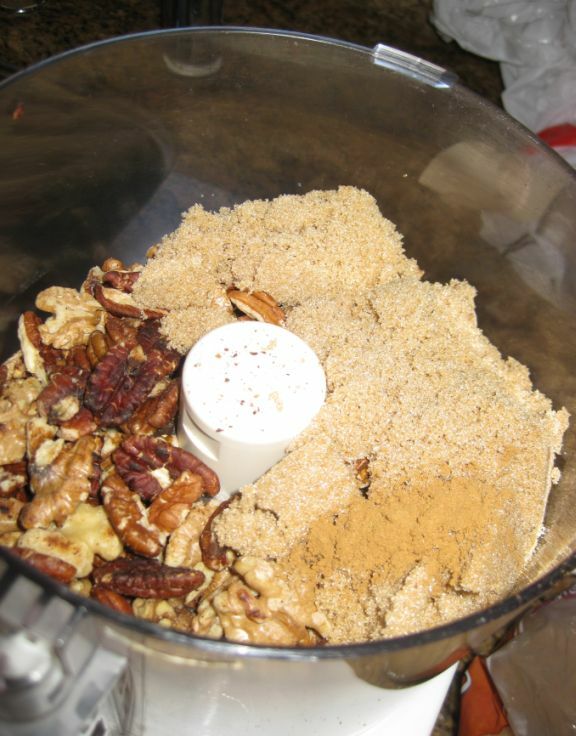 In a food processor, combine the walnuts, pecans, brown sugar, and cinnamon. 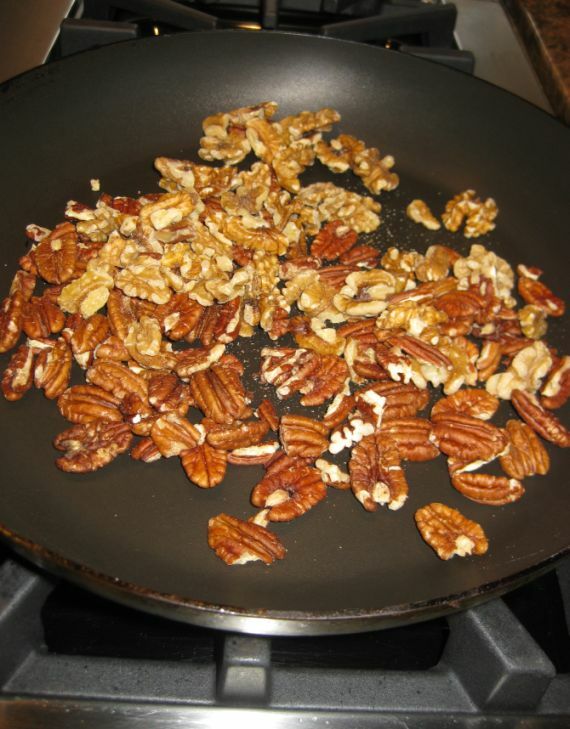 Pulse until the nuts are coarsely chopped. 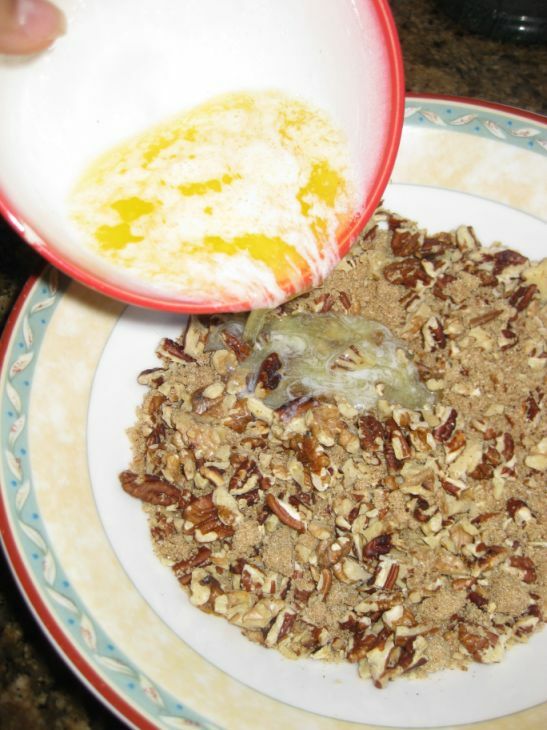 Pour the nuts into a bowl, add the butter. 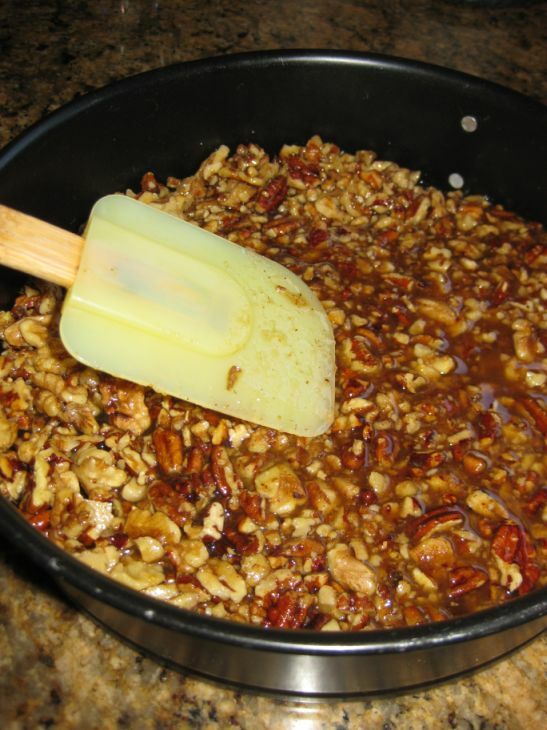 Stir until the nuts are evenly moistened. 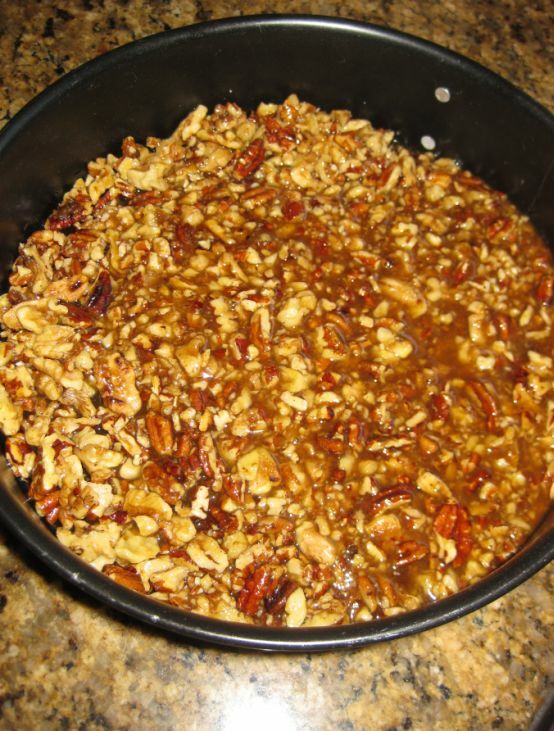 Placing the turkey on a roasting pan and pouring 1 cup of wine into the bottom of the pan. 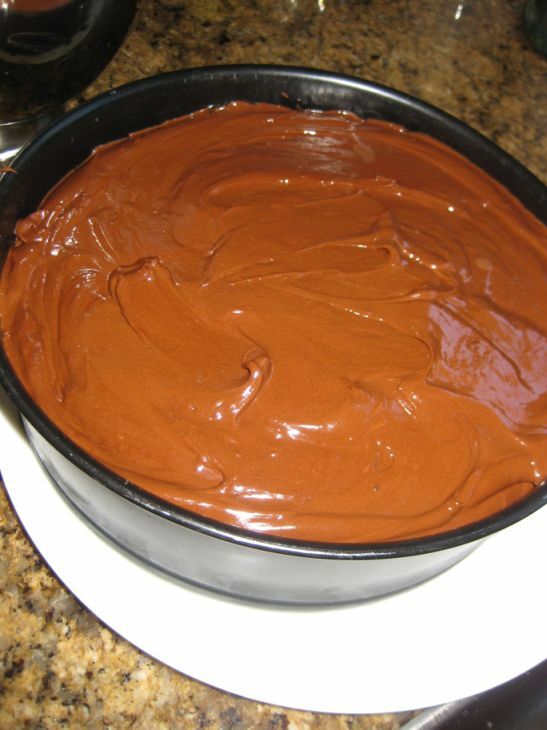 Make sure to preheat your oven to 325 degree F.
To make the filling: Melt the chocolate in a double boiler. 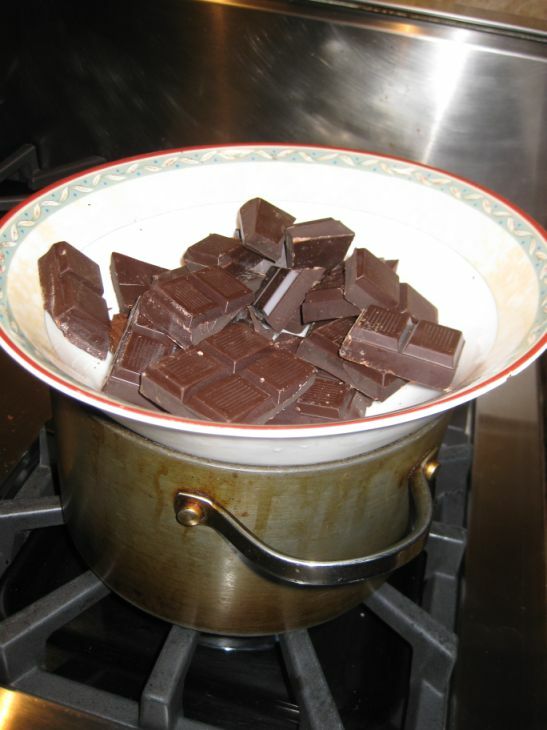 When the chocolate is melted, remove from heat and let it cool down and set aside. 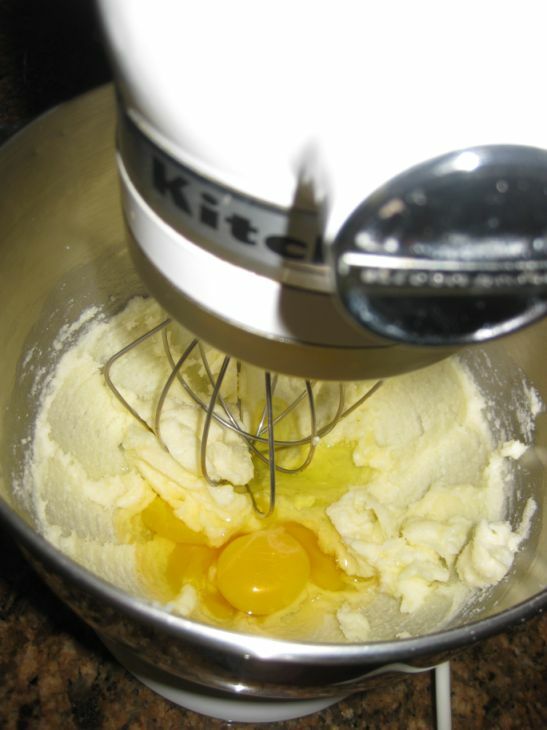 Combine the butter and sugar in the bowl of a stand mixer fitted with the paddle attachment and beat on medium speed until smooth, about 1 minute. 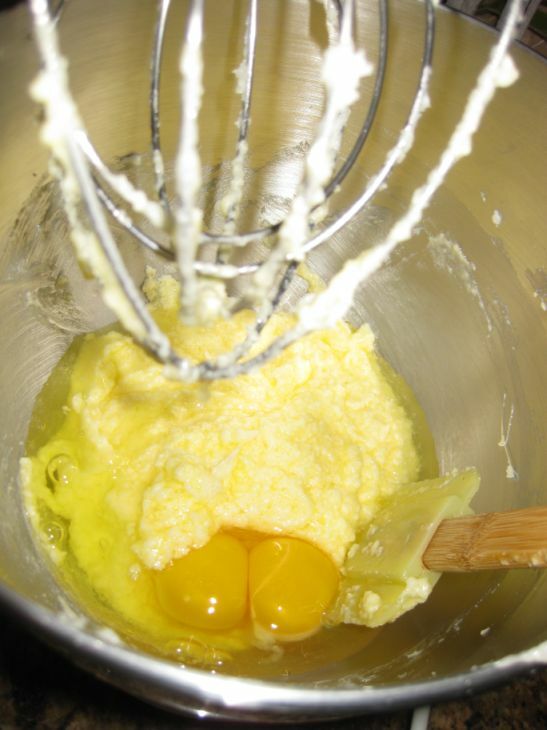 Switch to the whip attachment and add the eggs two at a time, mixing well after each addition. 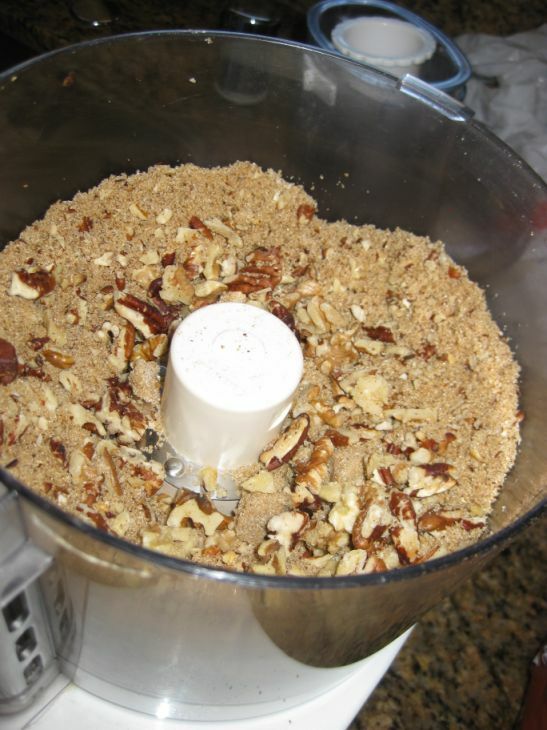 Scrape down the sides of the bowl, increase the speed to medium-high, and whip until well blended, about 2 minutes. 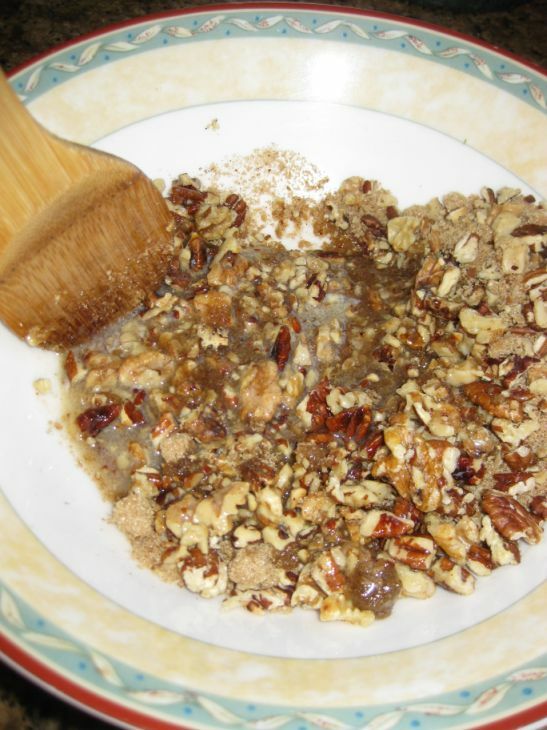 The mixture will look curdled. 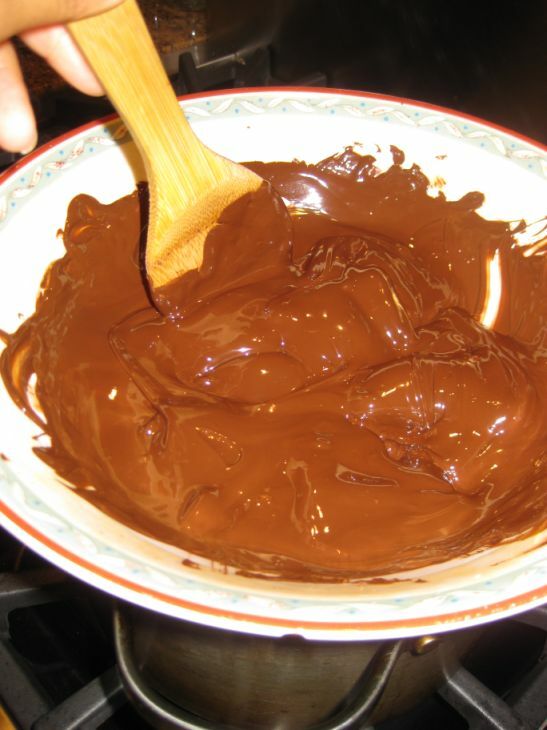 Stir in the chocolate until (make sure the chocolate is warm and not hot). 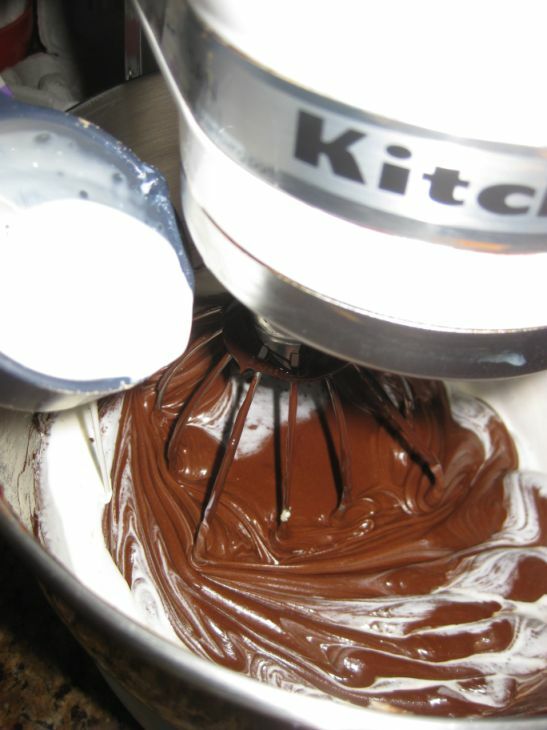 With the mixer on low speed, add the chocolate to the egg mixture. 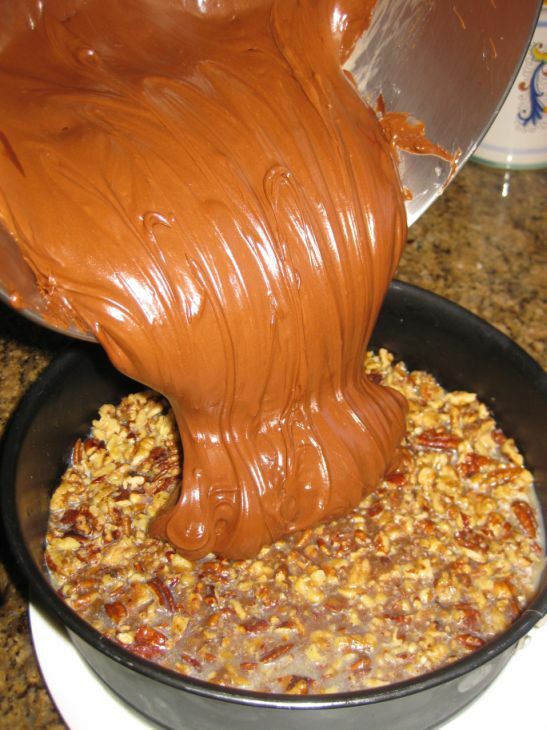 Scrape the sides and along the bottom of the bowl and then continue to mix on low speed until the chocolate is fully incorporated. 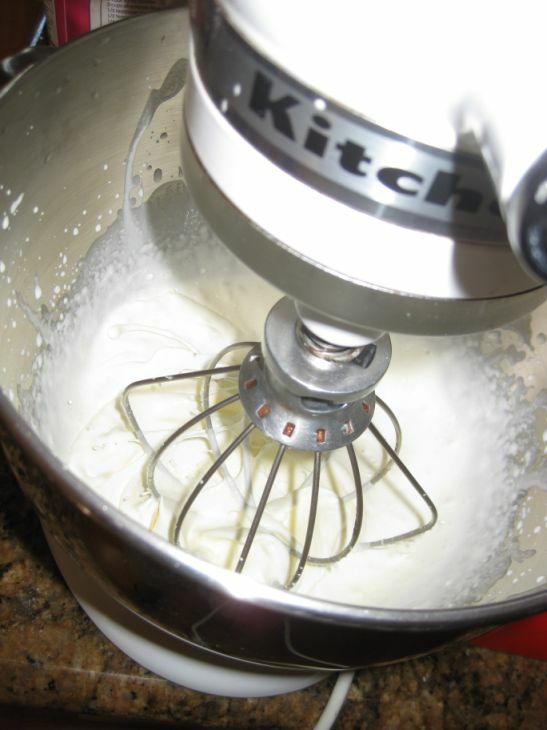 Add the cream and vanilla and mix until blended. . Spread the filling over the crust. 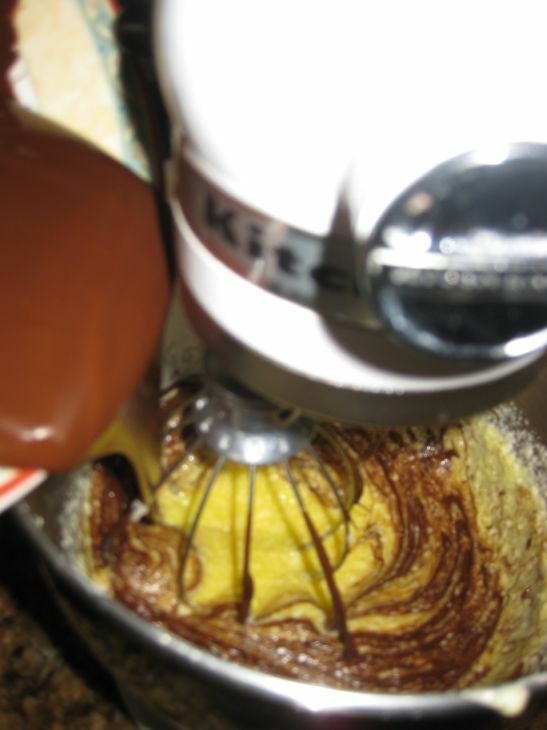 To make the topping: In a bowl, whisk together the cream and sugar until soft peaks form. Cover and refrigerate until serving. 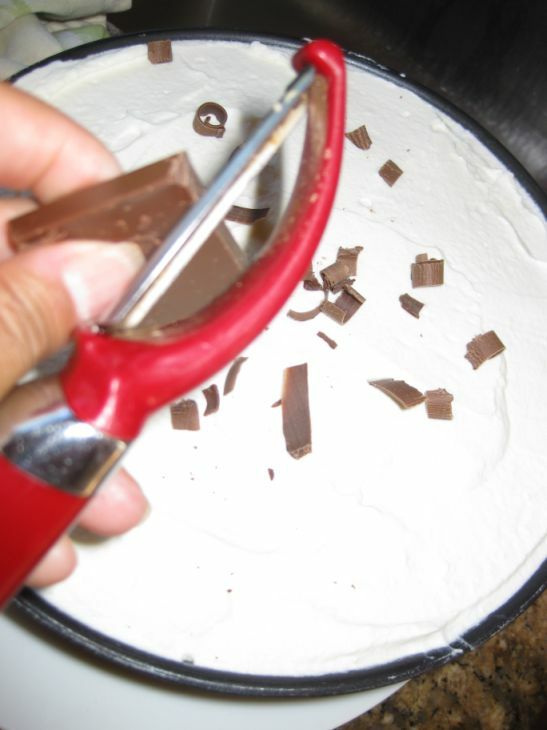 Using a spatula, spread the topping over the top of the cake. 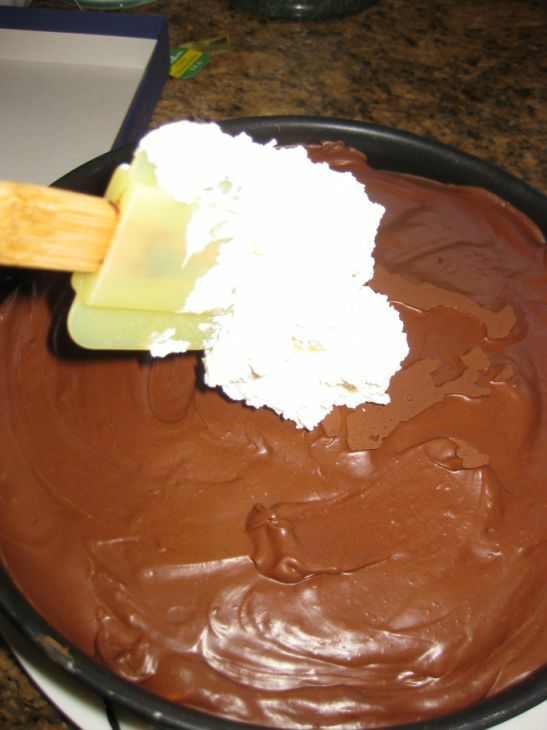 Add a few shaves of chocolate on top of the whipped cream.